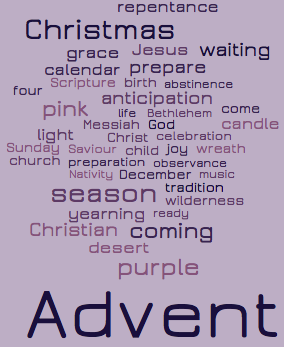 Over this season of Advent, as I encounter videos, images, reflections and sites that I have found personally useful in my own prayer and reflection, I will be linking to them at this central point… my own personal Advent Portal. I hope that those of you who visit this page find some of the material useful in your own preparation for the coming of the Christ Child! I will of course be praying for all of my readers and visitors throughout the season. Prepare ye the way of the Lord! This is WELL WORTH downloading… a Lectio Divina app designed for your mobile devices so that you can prepare your hearts for the coming of Christ on the train, waiting in line at the bank, in your lunch hour… seriously, I’ve downloaded it to my iPhone and its excellent. Check it out! This is just a blog that I stumbled across this morning that has been set up especially for advent reflections for this year by a woman named Susi. I had a bit of a look at the reflections that are there already – so far it looks pretty good. I’m a big believer in helping grass-roots bloggers with an apostolate to get their stuff out there, so here’s a link. Check it out and please do comment on her site if you find it personally useful/helpful in your prayer!